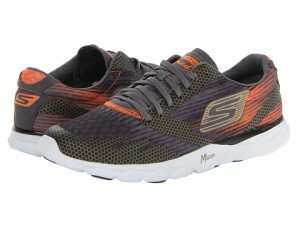 Skechers got a big boost when Meb Keflezighi won the Boston marathon earlier this year. For a brand that has been historically known more for casual shoes and kids shoes, having an elite American marathoner win Boston in their footwear was evidence that the Skechers Performance Division is making legitimate running shoes. They’ve since signed Kara Goucher as well, and are making a push to further develop their performance line. 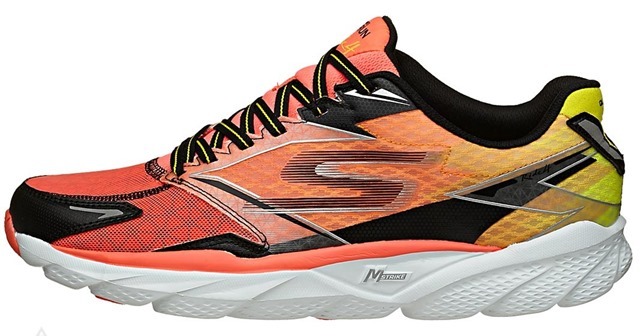 In this post I’ll be taking a look at the Skechers GoMeb Speed 2, which is the Skechers Performance Division’s racing flat. The shoe has been out for a while now (Meb wore a v3 protoype in Boston this year), but it’s a shoe I’ve really enjoyed running in, and I wanted to share my thoughts. The GoMeb Speed 2 is clean shoe with some flair – it looks the part of a racing shoe. It’s not the best looking shoe out there, but I’m not turned off by it either. The design of the shoe is simple and somewhat traditional for a racing flat. It has a single layer mesh upper with light overlays that are welded on for a seamless fit. It does have a heel counter – I have not had any problems with it. 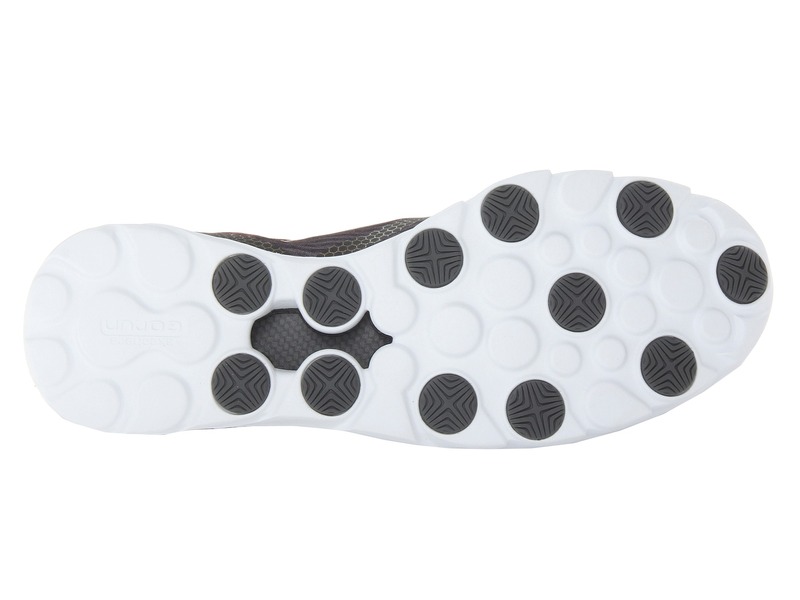 The midsole and outsole are one in the same except for some circular “Go Impulse Sensors” of rubber from the midfoot to forefoot. 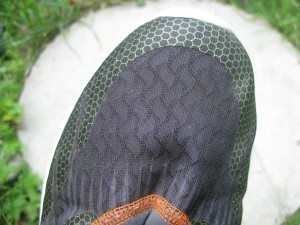 It also has a plate in the midfoot to provide some structure and pop to the shoe. The upper is made of a monofilament mesh that is soft to the touch, but doesn’t stretch much (which I like in a racing shoe). 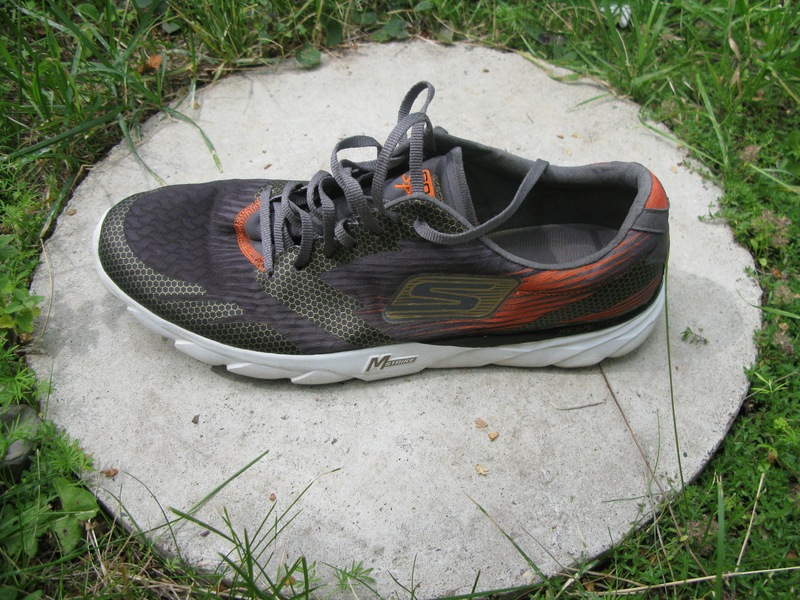 The midsole is Skechers’ proprietary Resalyte compound and it feels quite resilient (meaning it bounces back well; for example when you push your finger into the side of the midsole it will spring back quickly; some midsoles do not do this. New Balance’s RevLite comes to mind as a foam that is not very resilient). 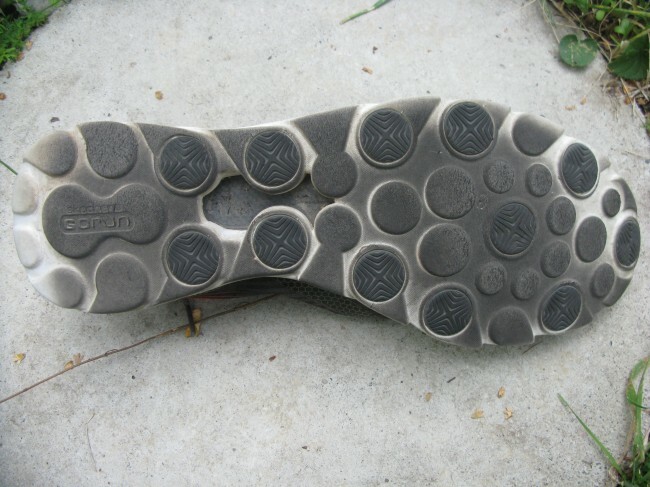 According to Skechers the midsole compound is a 57c firmness. I don’t have enough reference points to compare this to (other than the GoRun 3 is 50c, as are most other Skechers shoes, and the GoRun Ride 3 is 47c – lower numbers indicate softer shoes), but the shoe feels fairly dense and firm underfoot (although I don’t feel like it is a super firm when compared to many racing shoes; more on that below). From some discussions on the internet with others who have tried the shoe on or run in it, the relatively narrow fit seems to be the biggest deal breaker. For me, the fit is fairly good for a racing shoe. It fits snugly throughout and holds the foot well. At speed, it is very comfortable and I would have no issues running a marathon (or further) in them. Others have reported that the shoe was too narrow and tight. I should say that I almost always run without socks and this can make a big difference (especially depending on the thickness of socks you choose) with fit for a shoe like this. If I were to change anything about the fit, it would be to give it just a little more width in the forefoot. The shoe did fit about a 1/4 size long on me so I would shorten that up and make the shape a little less pointed. I’ve spoken with Kurt from Skechers a bit about the shoe and these two tweaks are something that the team there is strongly considering for future versions of the Speed (Editor’s note from Pete: I have run in prototypes of the GoMeb Speed 3 and the fit is much better on my foot – I was one who found the 2 to be a bit too narrow). This is where the Speed 2 really shines. While the shoe is firm enough to feel fast and racy, the team at Skechers Performance managed to make it very forgiving and somehow substantial enough to be a very practical marathon shoe (I really see this as a long run racing shoe because of the stack height, not a 5k/10k shoe, though it would be fine for those as well). I just took them on another 8 mile run and even at an easy pace of 7:30-8:00/mi they feel as smooth as butter. This holds all the way to 5k race pace for me (have yet to take them on the track, but I have no reason to assume they would perform poorly there either). Many racing flats I’ve tried do not feel that great at 8:00 pace (many adidas adizero shoes for example feel fine at 6:30 and under, but somewhat stiff/harsh at slower paces). I really appreciated the higher stack height (14mm forefoot/18mm heel) for a shoe of this weight. Plus, the foam is dense enough that it feels quite protective. The shoe feels rather level as you would infer from its 4mm offset, but still has a great dynamic feel and it transitions very smoothly and quickly from midfoot to forefoot. I don’t heel strike much so can’t completely comment on how it would ride for those who do, but given the 18mm stack and density of the midsole, I would guess it would be more than capable of handling a more rear foot strike (Meb himself, after all, seems to land more rear foot from most pics I’ve seen). Lastly, the addition of the Dupont Hytrel shank in the midfoot really helps this shoe feel more structured for the weight (you can see the shank in the central sole cutout in the photo above). I think without that, as the midsole broke down, the shoe would feel progressively more dead. As it is, it rides a great line between flexible and substantial for a racing shoe. I will be as bold to say that the Skechers GoMeb Speed 2 is quite possibly the best racing shoe I’ve run in. It is very versatile with its relatively higher stack and level of cushion. It can handle longer runs, but at 6.8 oz it is light enough to feel great (and downright comfy) even at 5k pace. This is not as true for me of other racing shoes I’ve run in like the Adidas Hagio, NB RC1600, and inov-8 Road-X Lite 155. They all are much thinner and very firm – they feel fast, but don’t offer nearly as comfortable a ride as the Speed 2 does. If Skechers can continue to refine the GoMeb Speed, I see it slowly rising to the top of the pack for marathon racing options. Additionally, and very important to me, it is one of very few true marathon racing shoes I know of that comes in at a 4mm offset; the Adios 2/Boost, Nike Streak 5, New Balance 1400v2, etc. all seem to be solidified at a 10mm drop. I’m very impressed with the Speed 2 and would wholeheartedly recommend it. I’m also excited to give the Speed 3 (the shoe Meb wore to win Boston this year) a try to see what improvements have been implemented for that shoe. I believe it is to launch in November 2014. 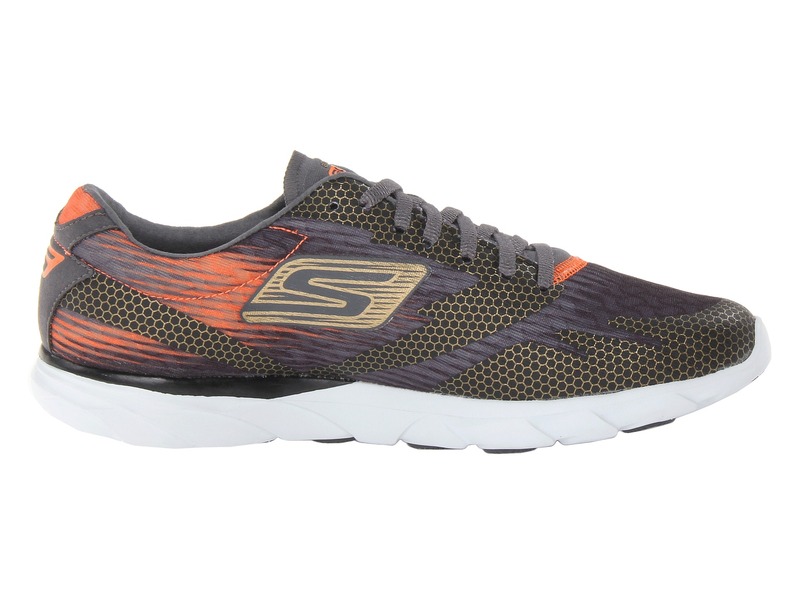 The Skechers GoMeb Speed 2 is available for purchase at 6PM.com for as low as $44.99 right now (6PM is the Zappos clearance site – the shoe has been out for awhile and is being updated in the Fall). It is also available at Shoebuy.com for both men and women (you can take 20% off with code 20July). Purchases from these sites help to support Runblogger and help us to publish detailed reviews like this one – your support is very much appreciated! Under Overall Impressions I referenced and inov-8 shoe as a lighter racing flat and it should read the inov-8 Road-X Lite 155 not 255 (which is a more substantial trainer, now discontinued from inov-8). Also, the Speed 3 is to be released November 2014 not 2013 as shown in the post. :). Feel free to ask any questions everyone and I’ll try my best to answer! Thanks for the review. I also like them a lot and have used them for speed training and 10k races. Not sure about running a marathon with them but I’m “heavy” at 165lbs for 6’3″ so that would come into play. When I run fast I supinate and they already show quite a bit of wear on the outside after 3 10ks..
As for size, I wear 11.5 for the Go Run Ride 1 (and GRR2) and 12 for the Go Meb Speed 2, with quite a bit of room in the front, which is nice and helps with the overall narrow fit. Nice. Thanks for the comments. I’m 6’5″ and 185 lbs so I probably fall into a heavier runner category…part of it though is I come from a pretty minimalist background when I started out running so for what I’m used to, the Speed 2 feels like a decent amount of cushion to me. While not being too soft or thick to lose efficiency. Agreed that they are a great 10k shoe as well though which is why I really think they are special, since they can fill a lot of roles for different runners. After taking a 3 week break in July to rest my tendons I got back in action with a pair of cuchy Adidas Glide Boost and found them great for easy and tempo runs. I took out the GOMeb Speed 2 again for a series of 5×1000@10K-5″ and got myself some nice blisters in the process…Think I might look into the Adios Boost for 10Ks now ! Can it be worn sockless? I wear nearly all my shoes sockless and have worn the Speed 2 for a 2.5 hour run sockless with no issues. There are no seams on the shoe and it fits snugly. I just got the women’s version of this shoe and run just shy of 20 miles in them thus far and really like them. I’m small, 5’1″ and 105 lbs, and thus far would use them for distances under a half marathon. I usually run in Newtons and I think I want the lug for longer distances, but I have been really pleased with the ride of the GoMebs. I have tried a ton of shoes, and these and my Newtons are the only ones staying in rotation. Thanks for the review. I agree with your assessment. Thanks for the comments, Judith. Having just tried Newtons (Newton Fate) for the first time 3 weeks ago, I can see how they have a very substantial feel, especially under the lugs…not sure I’m used to them yet or not, but they are well made shoes. 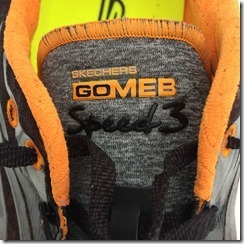 I think one of the most impressive things about the GoMeb is that Skechers pulled off such a great shoe in very short time and if they can continue to work on it and expand their line, they have great potential. Good luck with your running. Nice review. I’m encouraged to see high quality shoes at a modest price point. Skechers seem to do a lot of things right lately. I know some still treat them like the new kid on the block but I like what I’m seeing. I generally get about 175 to 250 miles on shoes like the Kinvara, Viratta, and Newton Energy NR. Do you think these would be about the same, or more or less durable? Thanks! The sole is firmer than any of those that you mention, but lack of rubber may be an issue for durability, so I’d guess comparable. Thanks Pete. Funny you feel that the sole is firmer. I don’t feel that at all. I really love this shoe. I considered the Viratta for my fall marathon but even on roads they seem to pick up rocks. I have decided on the Meb for the marathon, but I think the pair I have with 151 miles has to many for use in long runs, so I probably will use the newer pair and buy a new pair to break in for the race. I’ve been running in the GoSpeed 3 a bit and love the feel, but yeah, the 1 and 2 felt a bit firm to me. Virrata felt much softer. Funny how we all have different reactions to shoes. Good luck in your race! I definitely would consider the Viratta for the fall marathon but I can’t train in it for long runs because of how badly it picks up rocks. I am liking the Speed 2 a lot. I considered the Newton Distance III but it is hard to justify a $150 shoe when the Speed 2 can be had for closer to $80. Same with the Viratta. As to firm vs. soft, I have noticed that you and I have very different opinions on that. Viva la difference! I have Speed 3 envy right now. I wish I could try it. Not sure if it is coming out before October, or not. Probably not. Also, if you think it is softer, it might not be a welcome change to me. Geez shoes are problematic. They are a moving target for sure. After my fall marathon I intent to fully shift my focus towards trail running and ultras. I am using the Peregrine 4 and GoRun Ultra for trails and enjoying both. Thanks for the good luck. Good luck to you also on whatever your goals may be. Thanks as always for your reviews and commentary. I have on pair with 151 miles, and another with about 32. I am struggling with trying to decide whether I can still use the 151 pair for my long runs. I think not. Agreed on the not having over 75 on a pair for a marathon. I am planning on running Chicago in the Meb’s this October. I probably need another pair. Thanks for your response. I am not a blogger, but I do socialize informally here in Boulder, Colorado with other runners. I have really gotten into Skechers lately. I currently am rotating in the GoRun3, GoRun Ultra, and the GoMeb Speed 2 shoes. As noted above, I am using the GoMeb 2’s for long runs, and will run my Fall marathon in them. I just did a 20 miler in them which went well. My question relates to the fact that my first pair has to many miles for a long run, and my second pair already has 71 miles on them. As a result, I will need a new pair before the marathon. The question is whether Skechers has a Wear Tester program that would include people like me? Basically, informally social runners would can spread the word, but don’t do it on social media. I really want to try the GoMeb 3’s for the marathon, and not buy another pair of the 2’s, which will be the old model soon. Any thoughts on this, or am I stuck buying another pair of 2’s? 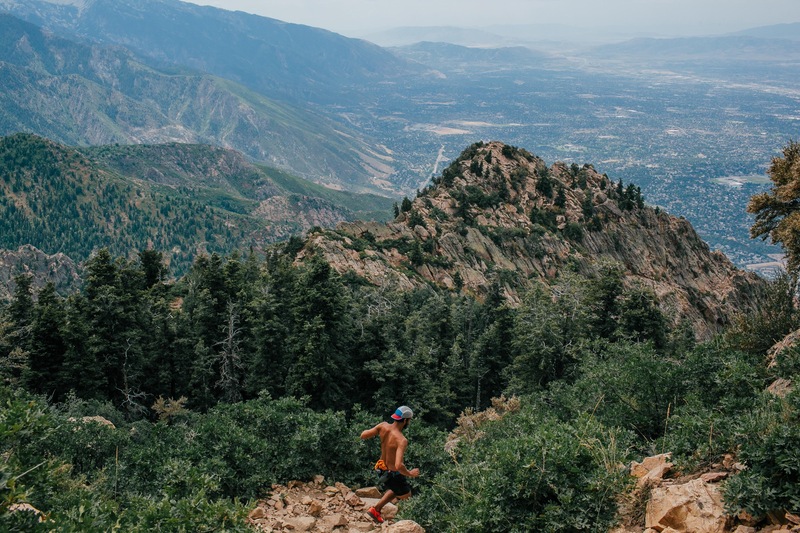 I would consider the Viratta for the marathon, but I can’t train in it as my long runs are a mix of trails and roads, and they just pick up to many rocks. They do have a wear tester program, but not sure of the procedure to apply for it. Would also depend on your shoe size since most companies only make a select few shoe sizes in pre-production models. I just ran a half marathon on my Gospeed 2 and it felt great. Well, in the first 2 thirds of it. It felt light, nimble and the upper very comfortable without any hot spots. But on the last part my feet were a little tired from the lack of cushion so I guess for my this is a great shoe for speed work up to 10k races but I might go with a GR3 for a 21k to full marathon. David, thanks for the advice.I really like this shoe and the longer I’ve ran in them before yesterday’s half was 12km so maybe it was my mistake. And it felt great on the 12km run. I was torn between running with Saucony Mirage 4 or Gospeed 2 and decided to use the Gospeed 2 based on that 12km run. maybe I should think about the Adios Boost for my next year half and full. Nice. Yeah you might have to build up in the Speeds, but I love the fast feel of them and they are much lighter than something like the adios, but there are always trade offs. The only thing I don’t like about the adios is the 10mm drop, but otherwise, a great shoe. 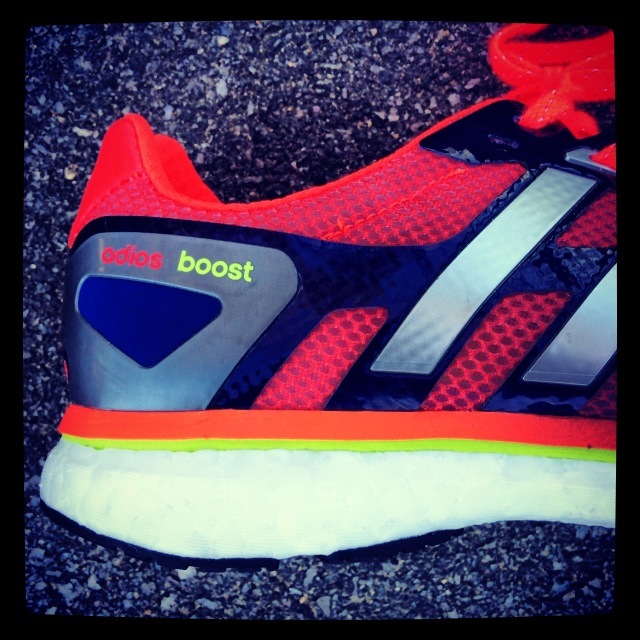 Did you see Pete’s post: link to runblogger.com on the GoRun 4…haven’t tried it myself yet, but seems like a nice shoe and they increased the cushion on it which might make it a better long run shoe for many. Yes, maybe I need to use them more often on long runs to build up strength on my feet. I saw the GR4 review and I’m super anxious on when they are going to be available here in Brazil.